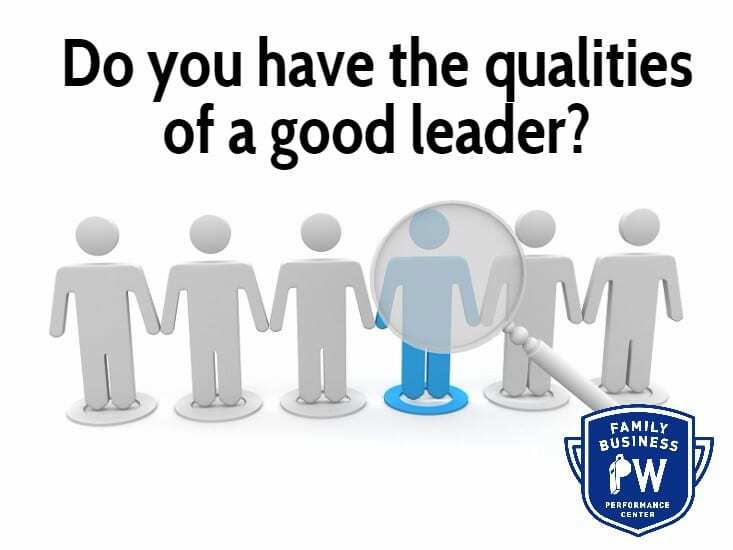 Home » Family Business Blog » Leadership » Do You Have The Qualities Of A Good Leader? Every family business needs a good leader to assure everyone is fulfilling their roles, business processes are completed correctly and the business is a success. Leading a team is never easy and this can be compounded in a family business due to the personal relationships of everyone involved. While everyone is not a natural born leader, you can learn how to be a leader. But what are the qualities that make you a leader and someone the rest of the family is willing to follow? If you are proactive, you do not simply obey orders. You act to improve a situation before it becomes a problem. Good leaders are proactive. They have the ability to observe an issue and decide what needs to be done. And then carry out the action that will alleviate the problem. All possibilities need to be anticipated and a contingency plan created. They don’t wait for problems to materialize before they act. They plan ahead and, therefore, are fully prepared to handle problems before they even arise. Good leaders walk the walk and talk the talk. This is the primary quality that will have the largest influence on the rest of the team. If the family business manager doesn’t do this, his team will not take him seriously. 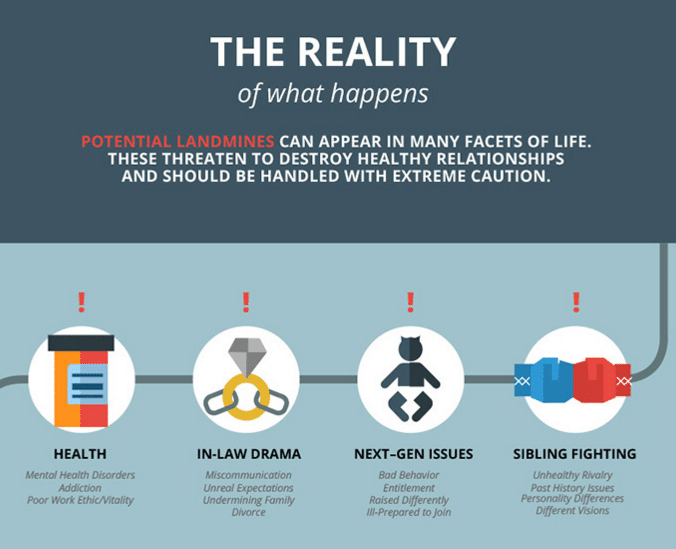 This will, in turn, result in a breakdown of confidence in the business hierarchy and can cause family business conflicts. To influence others in the business, good leaders need to set the best possible example. Good leaders keep their feet solidly on the ground. Everyone knows you are skilled and knowledgeable. You don’t have to remind them of it constantly. You can practice humility by not emphasizing your own personal qualities. Instead, highlight the principles you live by and how practicing these principles to your family business will lead to its’ success. When you put down your own ego and embody a clear sense of humility, the rest of the family business members and employees will gladly follow you.